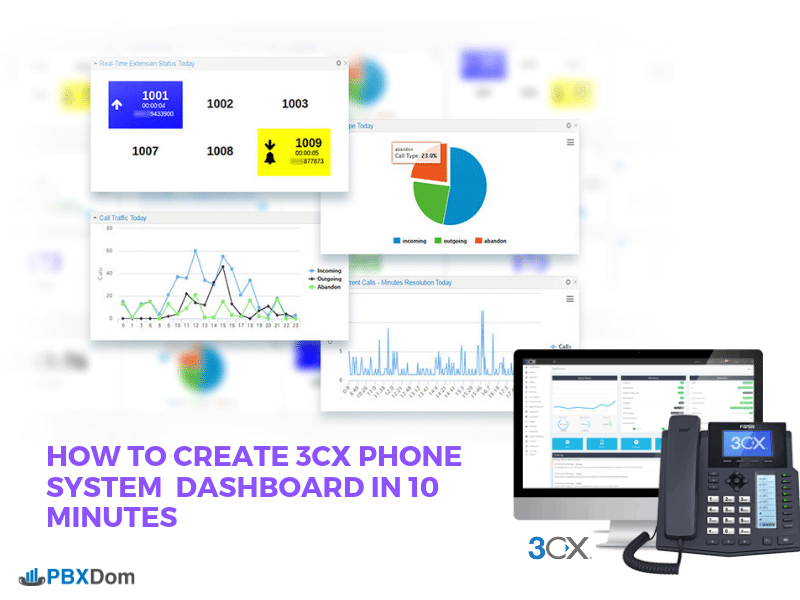 In this article, I am going to show you how you can create the 3CX Phone System Dashboard within only 10 Minutes. So, let’s get started and follow along with my instructions step-by-step. After confirming your account by clicking on the link sent to your email, you will be redirected to setup page on PBXDom website. 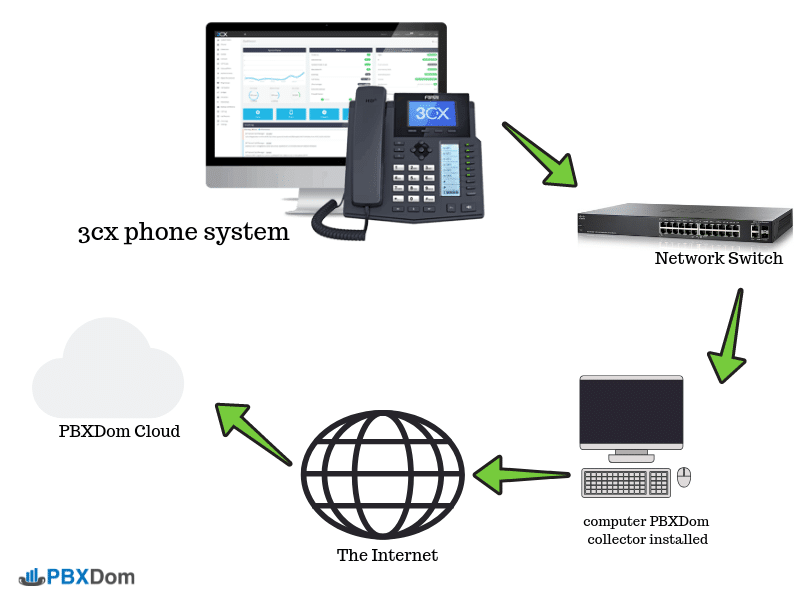 Before start set up the PBXDom collector software, I draw your attention to the following diagram. It shows the connection between your 3CX Phone system and PBXDom. To set up your 3CX Dashboard goto next step. Select 3CX from the vendor list. Select 3CX General from the model list and click on the next button. In this window, you can find information about how to configure your 3CX Phone system. 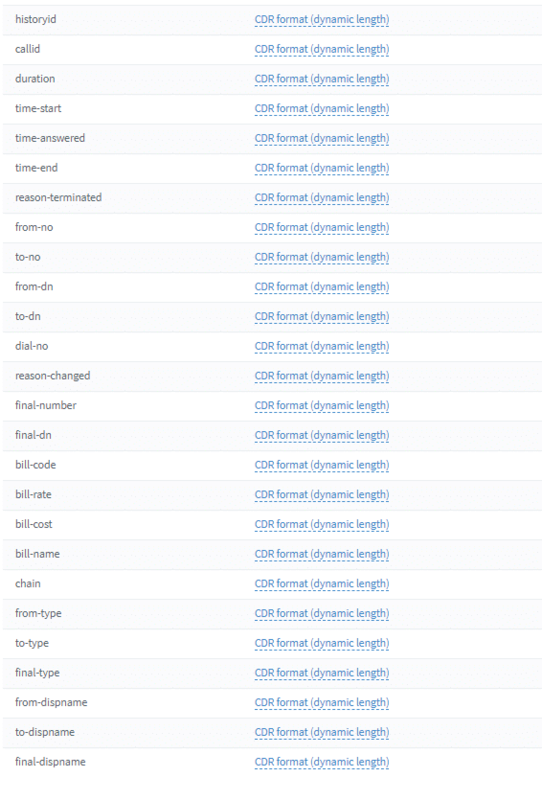 In “Configure CDR output fields” section, your field list and order should be similar to the following image. To make sure everything works, click on “Sync settings” button on your collector. Congratulation, Please click on the Finish button to access your 3CX Dashboard. 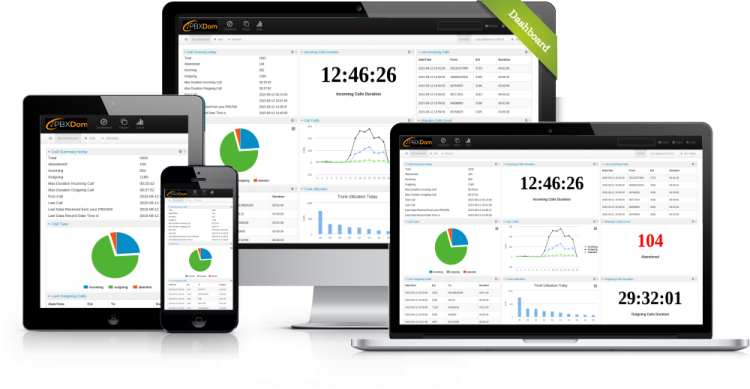 I hope this article helps you to find a very easy solution for making a dashboard for 3CX Phone systems and deep insight into your voice traffic in your organization.